Camy's Loft: Camy's Blog Tour! Thanks so much to everyone who participated in my blog tour for Sushi for One! The full schedule (with links) is at the bottom of this post. Hey Camy, You often speak fondly of Captain Caffeine and his imported espresso maker. What's your favorite caffeinated beverage order? Honestly, tea. Strong English Breakfast or Irish Breakfast tea. I'll take Earl Grey if I'm feeling zesty, or Ginger Peach (Republic of Tea) if I'm feeling fruity. In the summer, it's iced. In the winter, it's scalding hot, sometimes with a little soymilk and honey. However, I won't turn my nose up at a latte, especially if it's from Captain Caffeine or our favorite coffeeshop, Barefoot Coffee in Santa Clara. SB: In the story, Lex mentions a girl named Camy who gets brained by volleyballs all the time. I have to ask — is that you making a cameo in your own book? CT: Yup! I am a ball magnet. That part someone mentions about Camy being hit by a volleyball as she walks across the back of a court — that’s me. Happened to me twice. Both times, I was just walking across the back of the gym, but I got nailed in the head by a hitter at the net whose spike went way long. And the part where Camy gets smashed in the face? Guilty. Happened to me at my Nikkei Volleyball League night. What's the story behind Captain Caffeine?? My husband love coffee. I mean, LOVES COFFEE. Strong coffee. Cappuccinos and lattes in particular. Picking a screen name for him took a little while, but he likes the moniker Captain Caffeine that we decided on. It fits him to a T.
Okay, we all know how much you love food. I make a mouthwatering beef roast my Hubby is dying to come home and eat when he gets back from Iraq! When in the Midwest what would you love to try you haven't yet? What themes exist in Sushi for One that you hope the reader sees? Are there any themes that weren't overt but developed as the story progressed? Lex learns over the course of the book that there are no easy answers, as much as we'd like there to be. God just doesn't work that way sometimes. Ultimately, we have to stop striving so hard on our own and submit to whatever He decides for us, resting in the fact that He does love us fiercely, no matter what happens. One of the most stirring scenes for me centered around the painting in the pastor’s office. Is that entirely fictional? Actually, that painting was inspired by a story I heard in college. A sculptor had been commissioned to sculpt a statue of Christ on the cross, but it was so gruesome and horrific that the church members didn’t want it. The sculptor had purposefully made it gruesome because that’s how the crucifixion was—it wasn’t pretty or mournful, it was downright horrible. The sculptor had wanted to show the depths of Christ’s sacrifice so that we could more keenly feel how much He gave for us. I don’t know what happened to the actual statue, but that story haunted me for many years. I remembered it as I was plotting the storyline for Sushi for One, and made it into a painting hanging on the pastor’s wall. What, more than anything you can think of, influenced you to become a novelist? Since I grew up reading so much, and since I had such a wild imagination, I think it naturally led me to try writing a novel. I liked it so much, I wanted to be a novelist (although that path was long and twisting). What future plans has God revealed to you? I think I'm very fortunate because unlike some other writers, I know with certainty that writing is what God wants for me. I had laid down my writing at one point, and the fact He clearly had me take it up again gave me His approval and blessing over what I'm doing, no matter how my career turns out. What crayon in the box describes you on a good day? Which one do you aspire to be? Pink pink pink pink pink! Tell us about your favorite "scene" in the book. I loooooooove to eat. There really is a Crustaceans restaurant in San Francisco that I adore (I transplanted it to Santana Row for the book). The dinner date Lex has with George in Crustaceans features our favorite garlic roasted crab and garlic noodles, which are really served at Crustaceans in SF. Of course, any date Lex went on HAD to be a disaster, so I couldn't just leave her be with good food. I tempered her mouth watering with the epitome of the worst date. I got input from friends and incorporated their dating nightmares into George's character. That was tons of fun. Sabrina: What about your family? How did they perceive the book? Did they laugh with you, cry with you, try to find themselves in the book, etc... LOL. Seriously, none of my family is in my book. The characters are purely from my rather scary head. Myra: And while we're talking books, can you pinpoint a particular novel or author that lit your own inner fire to write fiction? I liked reading as a child, and I think that most writers are voracious readers, as well (although not all readers want to be writers, obviously). Every writer has a shelf-full of favorite books. I loved Little House of the Prairie and A Little Princess. dating myself? LOL) and chugged out my 500+ page fantasy manuscript. SORMAG: How did it feel to hold your new book? TANG: I cried. It was also the moment at which my husband really felt that my whole "writing thing" was real, so that also made me cry. I was shy, awkward and short. Luckily, now I'm just short. Who are some of your favorite chick lit authors? You've suddenly been transported in an alternate Jane Austen universe where you've become Elizabeth Bennett. Who would play your Mr. Darcy? Richard Armitage!!!!!! Have you seen the BBC Miniseries North and South? He's gorgeous! SPV: What genre do you write in? Camy: I write chick lit, which is humorous women’s fiction, and Sushi for One has a strong romance thread because I love reading romance. A: Beyond just the ethnicity of the characters, does "Sushi for One" reflect your own upbringing and life experience? C: Not necessarily. My family (especially my grandma) is certainly not as dysfunctional as Lex's! However, Asian American culture is very family oriented, so it's impossible for me to write about Asian Americans without having some family influence in their lives. I think a lot of ethnicities can relate to this. Think of My Big Fat Greek Wedding. The heroine's family pestered her about EVERYTHING. My Italian American friend says she can relate to the whole family thing, too. What is an indulgence that helps your creative muse? POTATO CHIPS!!! I also love taro chips and veggie crisps. I know they're super bad for me, but I can't help myself! BISJ:Do you think that women in Asian culture compared to American women experience more, less or equal pressure to be thin and pretty and fit a standard of beauty? Camy: I think Asian women experience the same pressure, but there's also the fact that most Asian women are small and petite. It's rather hard being non-skinny in the Asian culture because there are just so many women who ARE stick thin. My family would sometimes compare me to my cousins, who are size zeros. Most of my Asian girlfriends in high school were slender, while I was a hefty size twelve. Even a size eight would have made me happy. I also have Lex's problem of a small rack, so when compared to my Caucasian friends, I felt undersized in a bad way. In Sushi for One, Lex comes to terms with her body in her own way. She can only control so much, and the rest is just up to God. So I have to ask, what is your favorite kind of sushi and why? My favorite is soft shell crab handrolls at Kabuki restaurant in Pearl City, Hawaii. The sushi chefs there are GREAT and they take the deep fried soft shell crab and mix it with some sort of saucy thing and roll it in a hand-held sushi. It's to DIE for! Okay, my most important question is this: can we get that recipe for the mochiko chicken, or are we going to have to wait for you or your mom to invite us over? That recipe is my mom's own, and she won't let me share it. It's similar to other mochiko chicken recipes you can find if you do a Google search, but she's tweaked the ingredients and proportions so that the chicken tastes fabulous. Which of the cousins in the Sushi series do you least relate to? Probably Jenn, because she’s good in the kitchen (I burn *something* every time I cook, without fail), she’s quiet (they don’t call me the loud Asian chick because I’m introverted), and she’s observant of others (I’m not really detail oriented, so don’t be offended if I don’t notice you changed your hairstyle or have a new necklace on). How do you find time to connect with God? I really have to push myself to be disciplined, because there’s usually so much for me to do when I wake up in the morning. However, my time with God is one of the most important parts of my career as a writer, so I try to get into the word everyday. Right now I’m experimenting with lectio divina and going through the book ENJOY THE SILENCE by Maggie Robbins and Duffy Robbins. I accepted Christ in the summer between 8th and 9th grade, but I didn't start to actually walk with God until I got to college. I met Christians my own age who really, earnestly loved God and showed it in every aspect of their lives, and it completely changed my thinking and attitude about Christ. I rededicated my life to God and my life has never been the same since. Jen: What’s your favorite scene or moment in the book? THE KISS!!!! Of course. Can you tell I’m a romance reader? Sarah: What do you love most about your main character Lex? Camy: She says exactly what she's thinking and she doesn't care what people will think of her. She's as brave as I wish I was. She's also as good at playing volleyball as I wish I was ... sigh. You're an avid blogger, where did that start and how much time do you spend blogging? Be honest. I originally started blogging because I can't shut up. :) Once I realized that blogging was a marketing tool, I slowly focused my blog theme toward Christian fiction giveaways, Asiana, and light, entertaining posts. My biog is most definitely for my readers, not for writers. I don't spend that much time blogging--I'll take about two to four hours one day a week and write all the posts for that week. Malia: Now for dessert. In your interviews you like to ask people what flavor of ice cream they'd be so I'm going to ask what flavor of Aoki's shave ice are you and why. Camy: I'm going to cheat. There's a three flavor combo called Volcano Delight that I adore (Lilikoi (passion fruit), banana, and strawberry). Although Sunset Special comes close second (lilikoi, banana, and mango). And I'm very proud of you for asking me about Aoki's shave ice and not Matsumoto's! Aoki's is the best! 9/1 I’m kicking off the tour at Sharon Hincks’s blog, where I’m guest blogging about taking risks. 9/1 Fiction In Rather Short Takes (FIRST) is posting the first chapter of my book. 9/1 Rel posted a review and for any Aussie readers, she's giving away two copies of my book. 9/2 I’m guest blogging at Pamela’s James’ blog about finding a Pammer in your life. 9/2 Mary Connealy’s doing a review of Sushi for One. 9/3 Julie Carobini asks me what a day in my life looks like ... scary! 9/3 Head over to Angie Poole’s blog for a few of my fishtales. 9/3 Sally Bradley asks about leaving a character at the end of a book. 9/3 - 9/7 It’s a Week of Camy at Novel Journey! Review! Interview! Guest blog! Giving away a book a day! 9/4 Robin Caroll asks about the Chinese and Japanese cultures in my novel. 9/5 Join me at Christa’s blog for a blog post about my favorite subject—food! 9/5 Winter and I talk about food, volleyball, and the cover art for Sushi for One. 9/5 Amber Miller and I talk about the characters and themes in my book. 9/5 Erica Vetsch asks me about the inside story on that painting in the pastor’s office in Sushi for One. 9/5 Linda Fulkerson asks what influenced me to become a novelist. 9/5 My friend Kelly Klepfer posts a review. 9/5 Page McManus posts a review and asks me how I reward myself. 9/5 to 9/7 The Christian Fiction Blog Alliance is featuring my book. 9/6 New CFBA member Heidi has a cool interview on her blog about Asian Barbie dolls and what inspired the series. 9/6 My heroine Lex is blogging over at Dineen Miller’s blog about favorite restaurants. 9/6 Jackie Castle reviews Sushi for One?. 9/7 I talk about my favorite fictional character, my favorite crayon, and my favorite word on Kelly Klepfer's blog. 9/7 Sabrina Fox and I chat about my family and the kids in my youth group. 9/8 I’m blogging on Allison Bottke’s blog about my Boomer Babe Hero. 9/9 I get to talk about worship on Missy Tippens’ blog. 9/10 Rachel Hauck asks me why I wrote Sushi for One. 9/10 Myra Johnson and I go back and forth on writing craft. 9/11 Laura Domino reviews my book and tries at subliminal messages ;). 9/11 Cheryl Wyatt is being her squirrelly self with me, and she asks my three Sushi heroines to give blurbs about ME. 9/11 LaShaunda from Shades of Romance Magazine gives an interview with a slant toward the spiritual aspects of Christian fiction. 9/12 I get interviewed by a friend who knew me when I first started writing, Margaret Daley. 9/12 I’m doing an interview with Crystal Miller on When I Was Just a Kid. 9/12 Jenn Doucette asks me for my favorite Asian recipe. 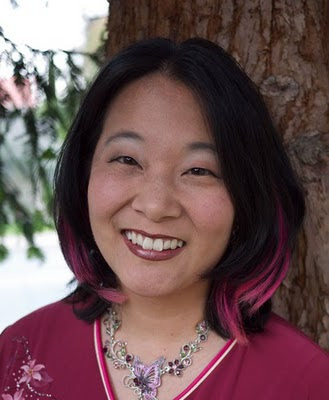 9/13 Fellow Asian and Chinese food lover Deborah does a review and an interview on her blog with the great name, Books, Movies, and Chinese Food, and I get to talk about—what else?—my favorite Chinese food. 9/14 I talk about what it’s like to get my novel published on Tricia Goyer’s blog. 9/14 My pal Georgiana Daniels interviews me on time management and desert islands. 9/14 I get to talk about BOOKS with Jen at So Many Books. 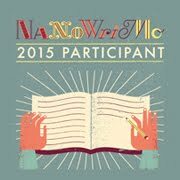 9/15 I talk about writing and chick lit on Tina Forkner’s blog. 9/15 Alison Strobel Morrow interviews my chick-litty self, and I give the original blurb for Sushi for One that I used for my proposal. 9/16 My good friend Ronie Kendig has me on the hotseat on her blog. 9/16 Cool cat Audra Harders posts a review. 9/16 I’m blogging about chick flicks on Good Girl Lit with Anne Dayton and May Vanderbilt. 9/16 Voracious reader and star reviewer Michelle Sutton gives my book a review. 9/17 My awesome friend Stephanie Quilao gives a rockin’ interview on her Back In Skinny Jeans blog. 9/18 I get to talk about Mary and me on Mary DeMuth’s blog. 9/19 My be-yooo-tiful friend Claudia Mair Burney gives an interview on her Ragamuffin Diva blog. 9/20 I’m talking about resting spaces on Delia’s blog, Gatorskunkz and Mudcats. 9/21 My heroine Lex responds to a letter from Donna’s NEW NEW NEW heroine Melin on Donna Fleisher’s blog. 9/21 Gina Conroy asks the four cousins a few probing questions. 9/22 Tyora Moody asks me about coming up with ideas for my book. 9/22 I’m being interviewed by my fellow coffee lover, Sandra Glahn. 9/22 123pizza (don't you love that blog name?) gives a review of Sushi for One. 9/23 I'm blogging over at Patricia Woodside's blog about "life after The Call." 9/24 My partner in crime—er, fellow chick lit author Jenny Jones has me over at her blog for an interview. 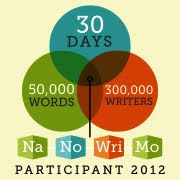 9/25 - 9/26 Cara Putman does a review and an interview about my writing journey. 9/25 Sarah Anne Sumpolec asks me how I met my hubby. 9/26 I’m guest blogging on Danica/Dream’s blog about mistakes NOT to make on the writing journey. 9/26 My friend Mirtika does a review on her blog. 9/27 My stellar photographer Tasra Dawson posts an interview with me. 9/27 - 9/28 Join me and Angie Breidenbach’s blog for a guest blog post about broken families and my favorite cholesterol bomb recipe. 9/28 I’m doing a Hawaiian-style interview with fellow local Malia Spenser. 9/28 I'm guest blogging at Heather Tipton's blog about obedience. 9/30 I finish off the blog tour on Janet Dean’s blog talking about Janet’s forte, historical romances. 10/2 My friend the ChristianFictionQueen reviews my book! Congrats, Camy! I remember reading this as a critique a couple of years ago! Oh the joys of book promotion. Looks like you're going to be a very busy girl. I'm looking forward to reading all of these posts. Wow! You look pretty busy this month. How great to be promoting your book. Can't wait to read it. Awesome Camy!!! Well I was going to tag you but it looks like you're going to be super busy this month. If you want to though, it's a pretty good one about your favorite books and you can find it on my blog. I will definitely stop by some of your tour spots! I saw your book in the bookstore yesterday! I wanted to jump up and down and make a spectacle of myself saying "I know her! Well, sort of, I read her blog! I know Her, I read her blog!" over and over again. Hello! I am trying to enter my name in the drawing for the book "The Restorer". I hope this is okay! What a great way to post all on your blog tour, I loved reading snippets of your interviews...and I can SMELL the coffee. No fair tempting me, I've been caffeine (cappuccino free) for 5 months now and STILL miss it! Congrats on Sushi for One!